My family and I only feel truly home when we are staring at our favorite castle and “oversized golf ball”. Yup…we are major Disney addicts! 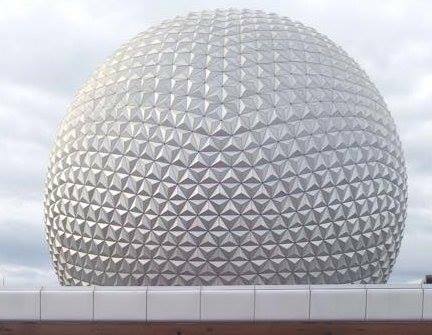 I just started planning my next trip and wanted to share my top 5 EPCOT dining musts. 1) Le Cellier Steakhouse – this is an ABSOLUTE must. And you have to book it way in advance. This slice of heaven is located in Canada within the World Showcase. The menu has an array of yummy dishes; do not forget to try the cheesy poutine fries! Go hungry and you will not be disappointed. Le Cellier is rated as “$$$” pricing around $30-60 per adult. 2) Biergarten Restaurant – or as I like to call it, “the hubbies favorite”. Located in Germany of course, you feel like you are in a Bavarian village complete with authentic food and great live music! Enjoy the spanning buffet while you are entertained with the best “oompah” there is out there. For those over 21, great beer choices and they give you “to go” cups! Biergarten Restaurant is rated “$$$” (pricing around $30-60 per adult). 3) La Hacienda de San Angel – I don’t know about you, but after spending the entire day walking miles in the parks this momma is in serious need of a margarita. Why not enjoy yummy Mexican cuisine, have a margarita (or 2) all while sitting in front of a great water front view? This restaurant has all that and more. The ambience is amazing; make sure you try their awesome salsa. I actually like to sample a whole mess of their appetizers instead of a meal! They are rated “$$” (pricing around $15-35 per adult). 4) Teppan Edo – our family visited this restaurant located in Japan for the first time on our last trip. It was the FIRST reservation I made this time around. This is dining with a show included! Your kids will love it! The chefs are super skilled chopping and stir frying right in front of you! If you are over 21, you can pair your meal with various Japanese beers and sake. This restaurant is rated “$$” (pricing around $15-35 per adult). 5) Tutto Italia Ristorante – you are basically stepping foot into Ancient Rome. The decor, art and statues simply will not disappoint. Enjoy an array of chicken, fish and handmade pastas but make certain you save room at the end for their gelato! Of course you know I had a glass of vino while I was there…when in Rome and all! Now off you go…reserve…Mangia! And please comment with your menu suggestions!